He put his hands on her arms again, this time rubbing up and down and just ignoring how good her skin felt against his rough palms. Mostly. He needed to comfort her more than he needed to worry about how she made himfeel. Abigail Jansen is done with hockey . . . and hockey players. 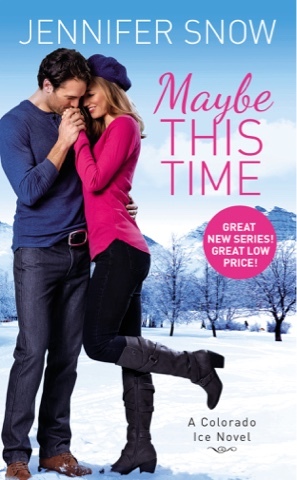 After leaving her two-timing NHL-star husband, Abby decides to start over in her hometown of Glenwood Falls, Colorado. There she doesn't have to deal with people gossiping behind her back or hear the word "hockey"—until her daughter tries out for the junior hockey team. Now Abby has to face her fears . . . and coach Jackson Westmore. He's tall, dark, handsome—and happens to hate her. I'm just going to admit the fact that I'm forever going to be a hopeless romantic. 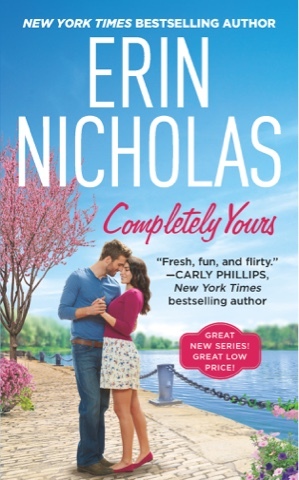 I say this because from the very first page until the very last, I felt a connection to the main character, Abigail, and all the crappy things that she had to endure while being a "hockey" wife. That's where the story starts off; Abby and her daughter, Daniel, are starting a new life in Abby's hometown after a nasty divorce. Abby's husband Dean is terrible. Just be warned about that. Once Abby moves, she knows right away that she needs to try and make it on her own. So she takes a substitute job that may or may not end up being a permanent teacher job. 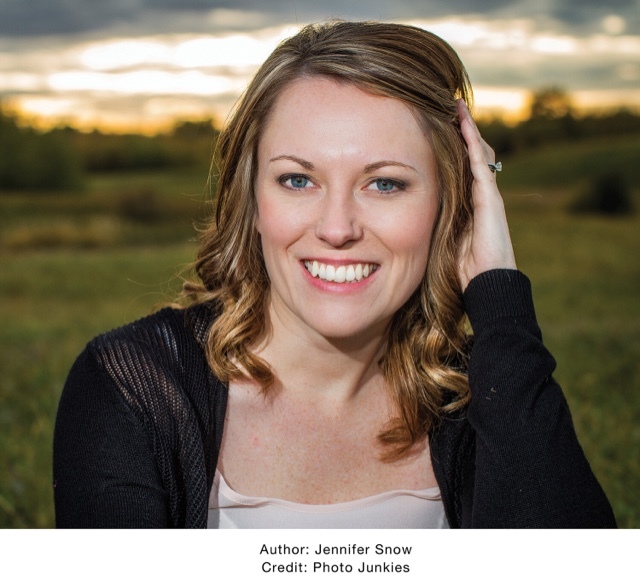 It's there she runs into Jackson, her ex- husband's best friend. Jackson is the cough to the little league hockey team. A team that Dani and Jackson's niece, Taylor, try out for. 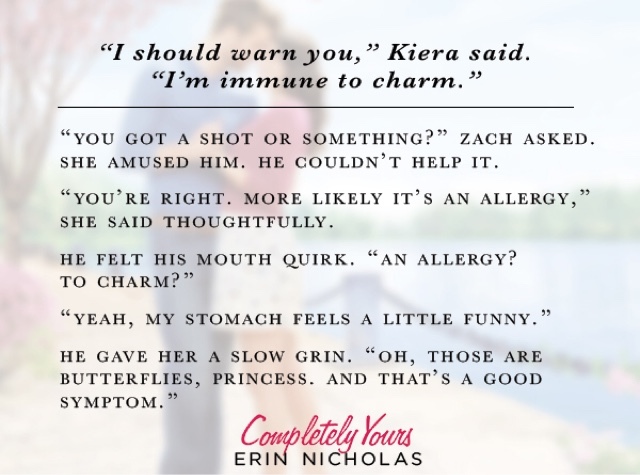 Abby and Jackson's slow burn romance was fun, sweet, and its one you can't help but root for. There were times when I wanted nothing more than to smack the two for being so oblivious or just plain dumb, but I'm glad that the romance wasn't rushed. It made it perfect in my eyes. The characters are endearing and I'm glad I'll be able to stay in the wonderful world that Snow has created. The next book is going to be about Ben, Jackson's brother who just so happens to play in the NHL! Tell me you aren't just as excited as me to get more hockey from the fun loving family that are the Westmores. If you're looking for a romantic read that will make you giddy with happiness, this is the one for you! And despite what a jerk Dean is, I still wish the guy the best. Sounds like he just let all that money and fame truly get to him. Don’t miss out on this new release, and be sure to enter the giveaway found at the end of the post! In turn, Emory offers to help Isla get back on the dating scene by agreeing to be her fake date for the homecoming dance. Isla gladly accepts the ruse, because if anyone can make her into a desirable girlfriend, Emory can! There's just one small problem. Isla's little crush on Emory might be exactly full blown. And a homecoming fake date with him could push her over the edge to possibly uttering the "L Word!" Isla can't afford another heartbreak so soon after the last one. She will have to resist his charms, refuse to look into those dreamy eyes, and above all else, not make the mistake of letting him kiss her. If only she hadn't let her guard down at the end of the night, under the light of her porch in a toe-curling kiss moment of weakness. And now, after months of Break-Up Support Group therapy, and with a heart fully on the mend, Isla has just handed it over to a guy who knows full well just how to break it.